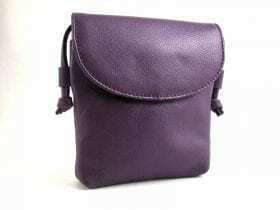 Our Real Leather Shoulder Bags are available in a variety of sizes, styles and colours. 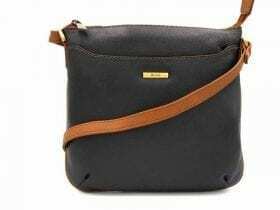 Our range consists of many styles, for example, shoulder bags, cross body bags, clutch bags and bum bags. We stock our Arnold Leather Goods bags in a selection of Classic shades and Bright colours. The Classic shades include Black, Tan, Brown, Navy and Cream and in contrast, the Brights include Purple, Red, Pink, Turquoise and White. The bum bags come in a range of plain colours with two multi-colour options. Our Real Leather cross body bags and shoulder bags are made from good quality cowhide leather. Similarly, we use good quality linings and good quality zips. Some of the larger bags have inside zip pockets. In addition and most importantly, all have easily adjustable shoulder straps so you can alter them to the length that suits you. 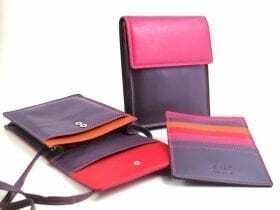 In conclusion, we offer a good choice of colours and styles of bags to suit any occasion. Our Real Leather Bum Bags fit from a 30″ waist up to approximately a size 43″ waist. Cowhide Leather 3 bags in 1 may be worn as a Back Pack, Shoulder Bag or a Cross the Body Bag.